Regular readers will know that Mummy went onboard Princess Cruises The Royal Princess in the summer, and she has shared with you her over view of this amazing ship already. 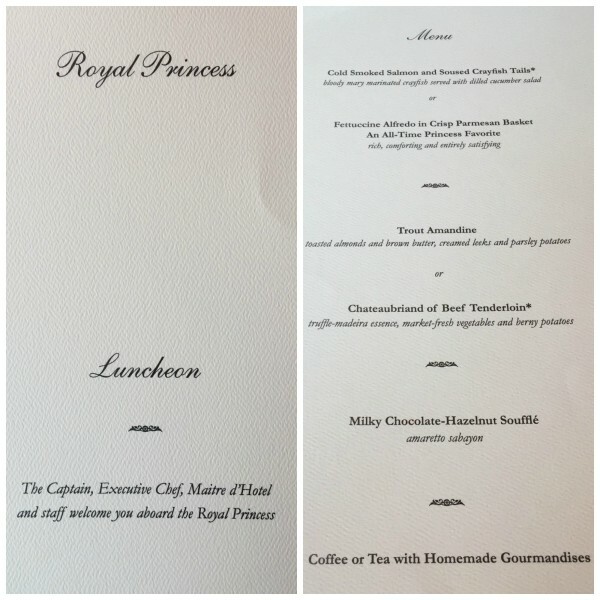 She now wants to tell you about the food on board The Royal Princess. 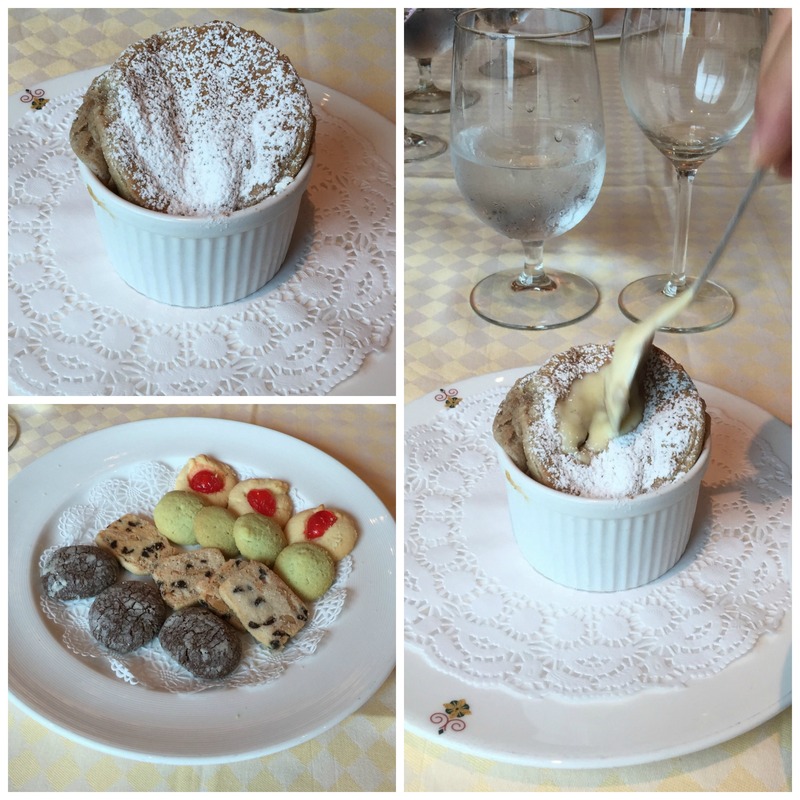 Whilst on board, Mummy was also treated to a fantastic meal in Sabatini’s the Italian restaurant. 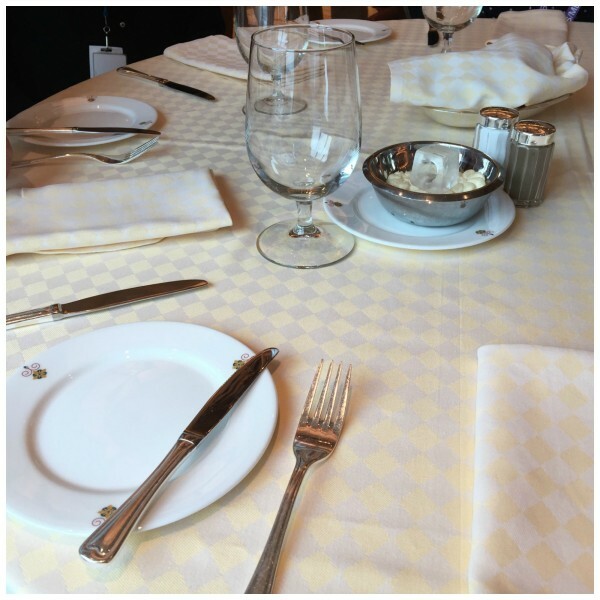 Mummy says….’Sabatini’s is one of the specialty dining restaurants on the ship, which means you pay a nominal charge to eat here. (Most food in the other restaurants are part of the inclusive dining, full details and explanation can be found on the website.) Sabitini’s is an Italian dining option, and is one of the “Best Cruise Ship Specialty Restaurants” at sea (USA TODAY). The restaraunt specialises in pasta and seafood, and whilst I am not a huge seafood fan, I adore pasta and could live on it if I had to! 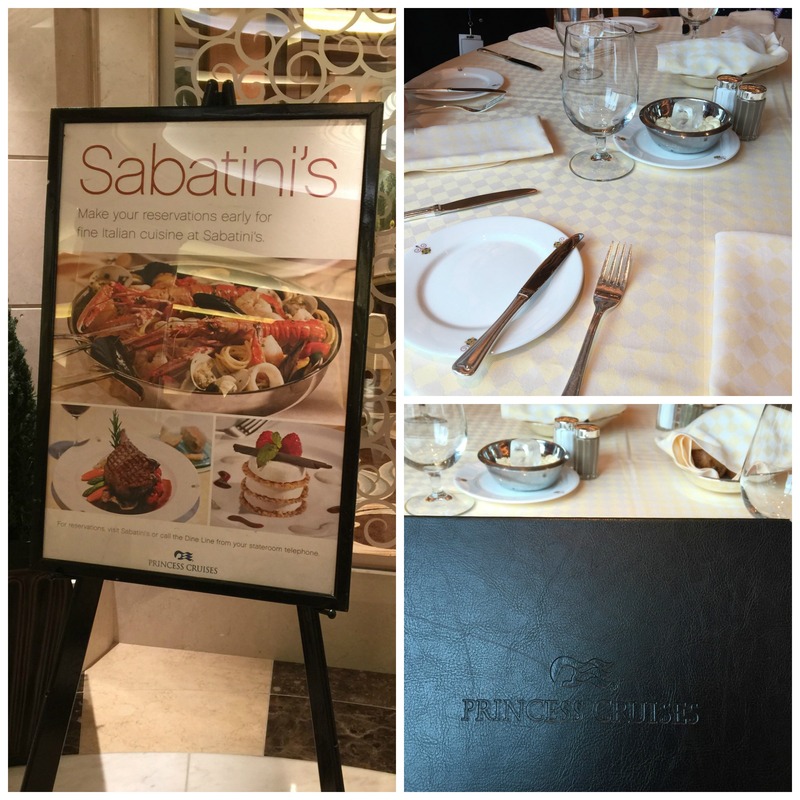 I was so excited to be eating in Sabitini’s it is a beautiful restaurant, and after being shown the other dining options on the ship and seeing the quality of the food I knew the meal would be excellent. I had a three course lunch, and it was absolutely delicious. 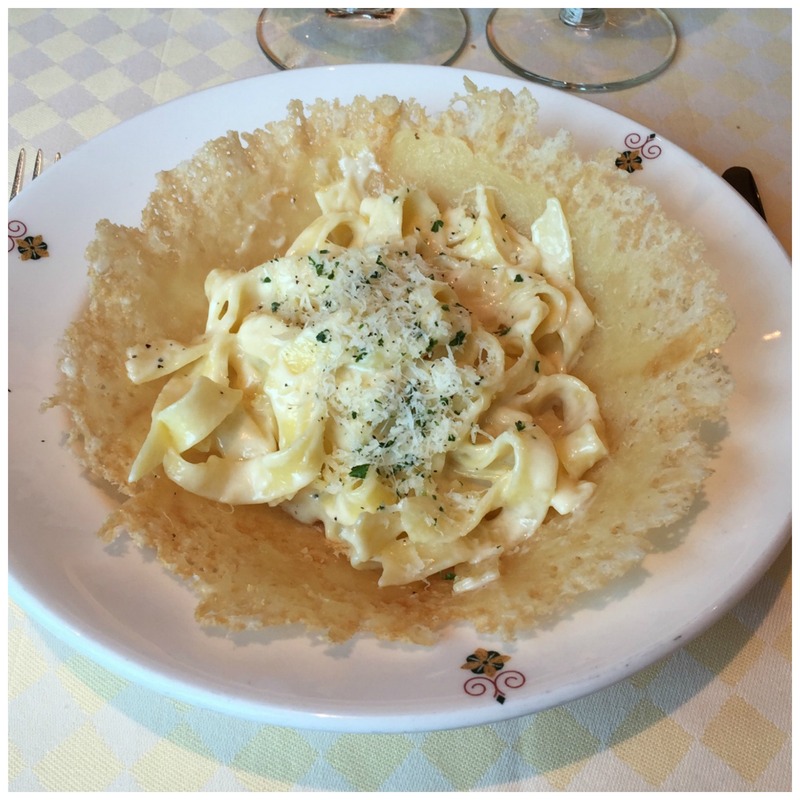 To start I chose Fettuccine Alfredo in a Parmesan basket. My main course was Chateaubriand of Beef Tenderloin, and desert was a Milky Chocolate-Hazelnut Soufflé. Honestly the whole meal was faultless. The food was the highest quality and cooked perfectly. Horizon Court Buffet where you can find The Pastry Shop too. A huge selection of the most delicious looking pastries are available. Here you can enjoy casual dining at breakfast, lunch or dinner and a wide choice of different dishes, including old favourites and regional options as well as fruits, salads and deserts. Fresh fast food with homemade burgers and freshly baked buns available throughout the day. Choose from cheeseburgers, grilled chicken sandwiches and other daily specials and chips. Pizza freshly baked on deck. Margarita’s, pepperoni and daily specials are offered. You can choose between traditional dining, at set times every night with the same people and waiter and Anytime Dining a more flexible choice for when you eat. Speciality dining are restaurants of differing regions from around the world, at a nominal charge. There are so many options to choose from it is impossible to cover them all. I must mention the Traditional Dining Room, and the Chef’s Table Lumiere where you can dine privately within a softly-lit curtain that surrounds your beautiful dining table. (There is a modest cover charge). 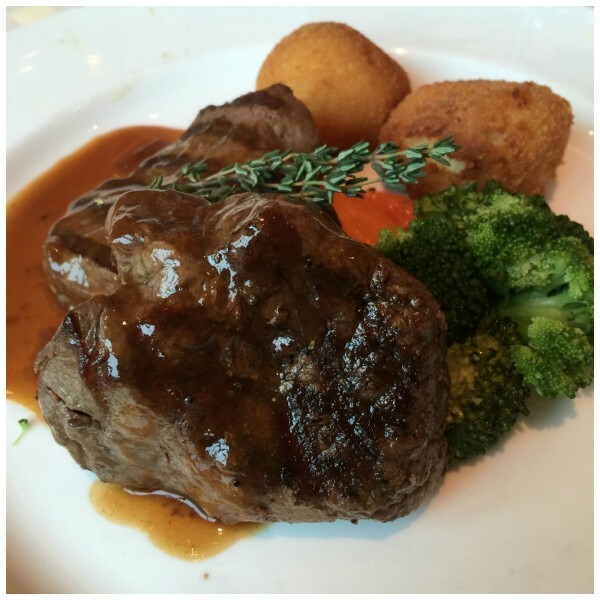 You will never be hungry on The Royal Princess, and it is not just quantity, it is top quality too. Every dish is prepared from scratch on board. Every vegetable is peeled on board, every pastry, cake and pie is made on board. 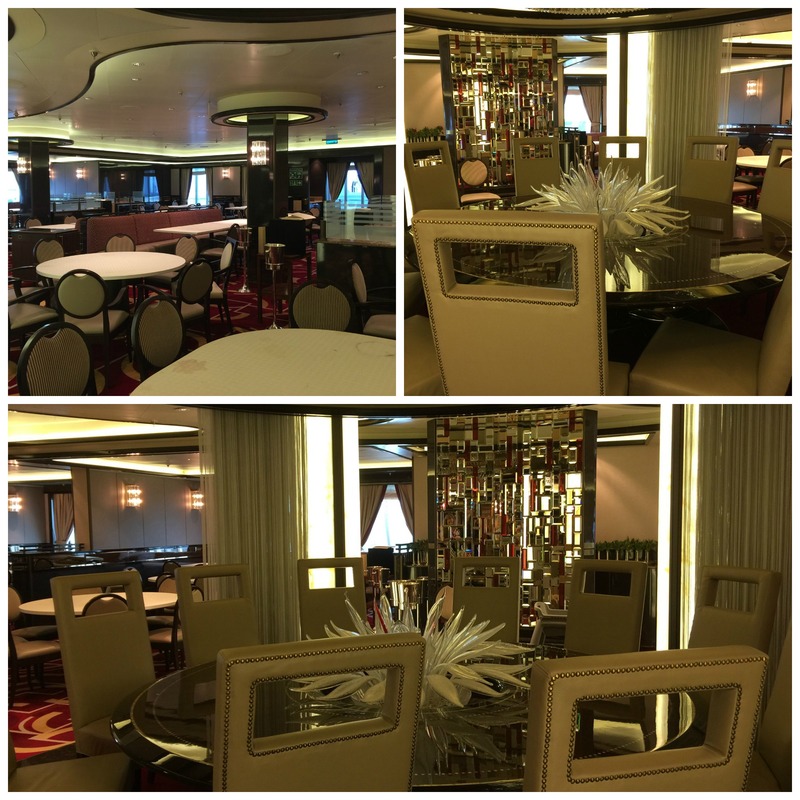 So you can enjoy exceptional food on board an incredible ship. What do you think of the food on board The Royal Princess? Yumm. I think I would get off the cruise a whole stone heavier! The range of food available on a cruise is amazing. I’m interested to read about the speciality restaurant as I’ve often wondered if it was worth the extra cost. 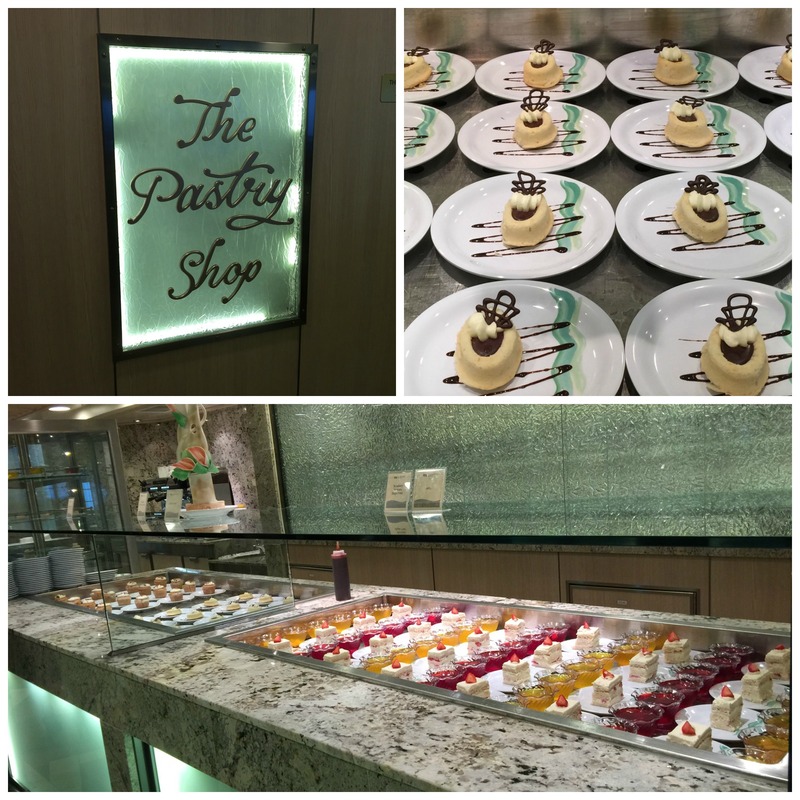 Food on the cruise ships is out of this world! I also loved the free room service. I once rang them at 3am and asked for cookies! It was amazing! 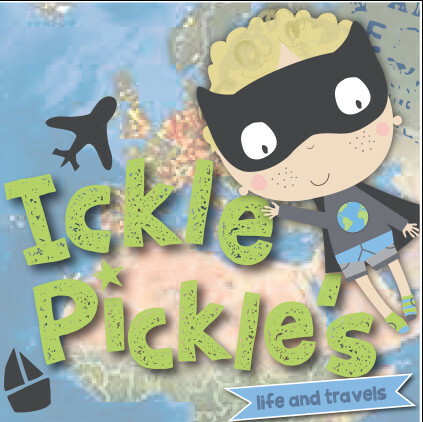 Tori Gabriel recently posted…Halloween Special – Let’s Terrify Our Children! Looks to me like mummy had a great time. Food looks yummy. Stella recently posted…OOTD: Ladies, Start Layering..
Oh yum. I’ve never seen a parmesan basket before but it’s actually a fabulous way to make something that looks plain like a pasta look really incredible. I have never been on a cruise but I can imagine it to be amazing. The food looks delicious. 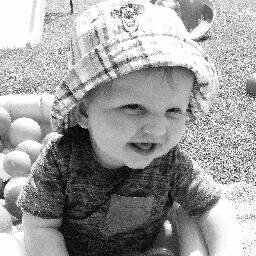 Michelle Murray recently posted…I Can’t Do That Now, I Am A Mummy. The chocolate fondue looks heavenly I would love to try some where did you go? It sounds like a lovely restaurant. When we were on our last cruise, we refused to pay for food when so much was included in the price. What a beautiful dining establishment! Those desserts look incredible and I know my carnivorous husband would be in heaven with that tenderloin. 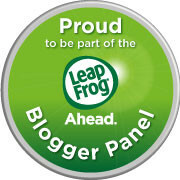 Jessica Harlow recently posted…Got a project? This multi-purpose waist apron makes it easier! This looks SO nice. I think I’d go just for the Parmesan basket!! Ok maybe not, but all of the food looks absolutely fantastic. What a great trip. WOW! What magnificent food this looks like! And the atmosphere looks like it’s absolutely relaxing and fun! It would be such a delightful experience. I can only imagine how good the food was. I think cruise ships are very much known for their food. And that says a lot. The food definitely looks good and I’m a huge pasta fan too. I’d definitely be trying some pastries! I love the set up of the table it looks like you are in a palace, those foods looks yummy. I am in-love with the dish. It look tempting perfect fit for an elegant occasion. That looks so delicious! 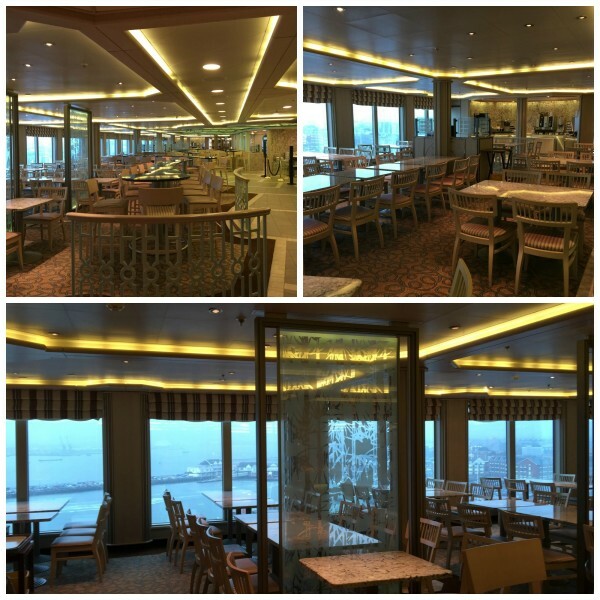 I have never been on a cruise before but that food is promising! Everything looks great. I could def. go for a nice meal out.